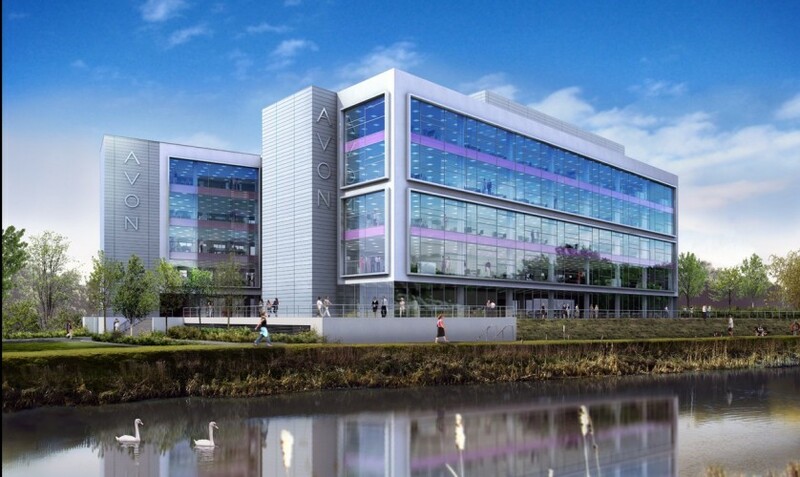 The new European corporate headquarters for Avon Cosmetics was constructed on their existing riverside site in Northampton. 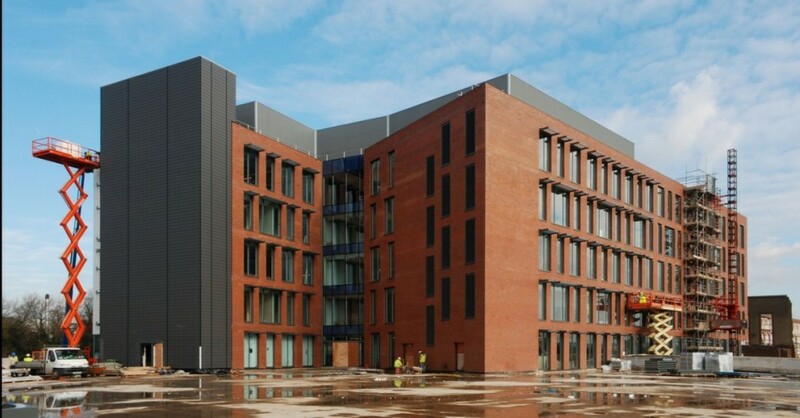 It is a purpose-built facility, including a full staff restaurant with associated kitchen, comms rooms, product laboratories and general purpose office space, all set over an underground car park. The building is steel framed, supporting metal deck composite concrete flooring with a glazed full height feature entrance area. To assist with the desire to have a light, open plan office area the floors span 16.5 meters between perimeter columns. 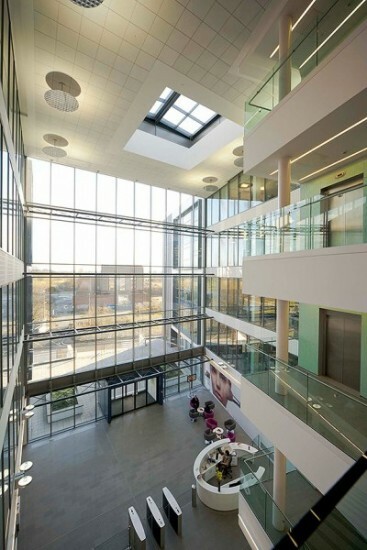 The building includes state of the art security and fire protection systems, together with an innovative mirror lighting installation in the atrium. It is provided with full standby generator support, a comprehensive building management system and daylight-linked lighting. During the construction period, the Client requested a number of enhancements, including air source heatpump cooling, heat recovery and rainwater recycling systems. The resulting building has been very well received by Avon’s staff, and is now a landmark in the town. It has also recently been voted as the National winner in the British Council of Offices Awards fit-out and workplace category 2011.